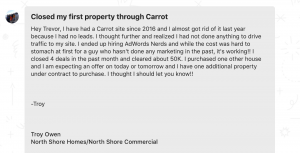 So Troy started ramping up his marketing through PPC and got some help from the Carrot folks. It turns out his work paid off… Troy made over $50k last month by closing 4 deals he got through his site. 2:29 – Troy’s started out 10 years ago as a real estate investor and house flipper in Milwaukee, Wisconsin. Right now, he’s averaging about 8-10k per PPC deal and closing roughly every 1 in 5-10 leads. Get in touch with the PPC experts he used HERE. 8:41 – What one thing is costing you the most money? 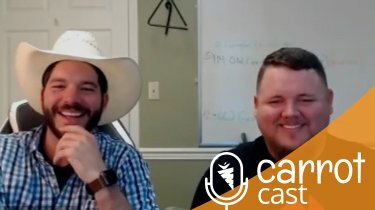 Lack of follow-up with your leads. Consistent follow up is key to closing your deals. Sometimes we think we’re bugging people by calling, texting, and emailing him. Without his persistence through 8-10 phone calls, Troy would’ve missed out on $30k from someone who wanted to sell their house. 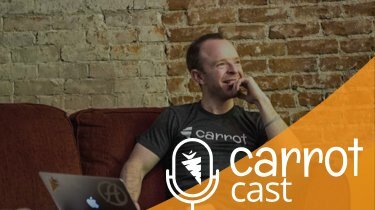 13:12 – How he plans to ramp up his marketing this next year. Doubling down in online, optimizing his website, and committing to larger direct mail campaigns. 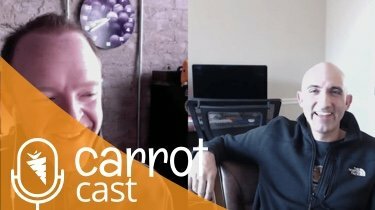 18:16 – When something is not working, make a mindset shift and ask yourself “Have I truly given this a real chance?” Troy knew his time could be better spent on getting deals done so instead of going the DIY route with his website and marketing, he outsourced it and hired experts, and switched to Carrot’s advanced marketer plan. 21:15 -Suggestions for success from a Carrot customer. Commit to finding a way to drive traffic to your website. There’s a reason why we repeat ourselves at Carrot… the model works! Implement and educate, implement and educate. Interested in hiring AdwordsNerds for PPC? Click HERE.